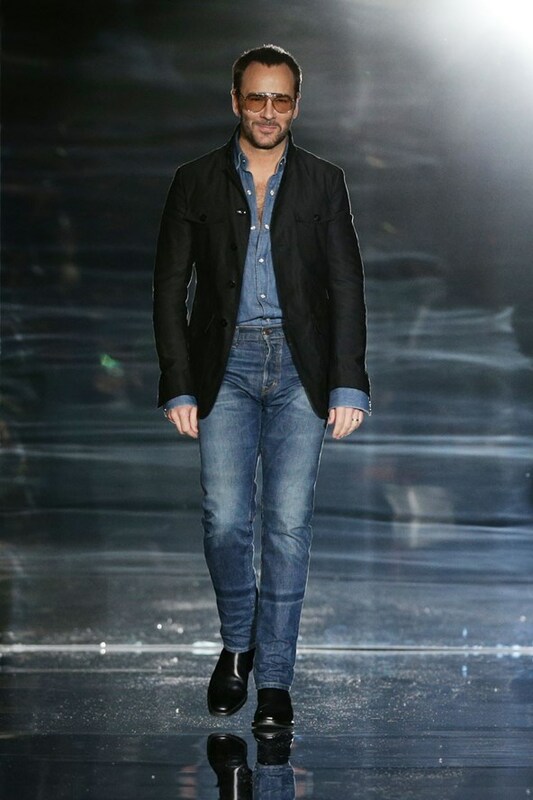 Tom Ford walked the runway in a Canadian Tuxedo at London Fashion Week, perhaps taking the torch from all the denim draped icons at NYFW – seriously, we still haven’t come close to posting all of them. We’re digging the belt-less look, Mr. Ford. Yum. OK, maybe it’s QUADRUPLE denim, but damn us if we’re going to miss a chance at alliteration. 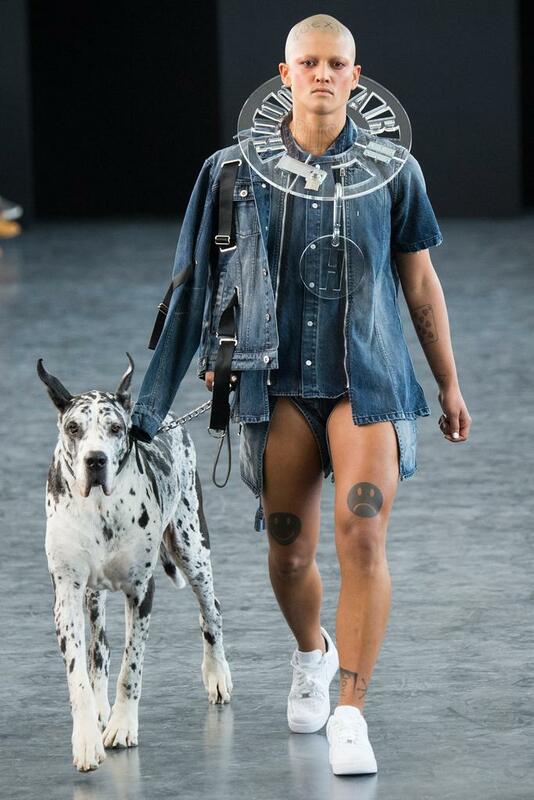 Clearly denim was all over NYFW this season. We’ve shown you a few things off the runway: now it’s time for what was on the runway. Leave it to Hood By Air to 1. Present a totally insane runway show, and 2. Take the humble Canadian Tuxedo to almost post-apocalyptic, Fifth Element-esque levels as seen above with what we’re seeing as a Quadruple Denim getup. Gotta get up to get down, right?